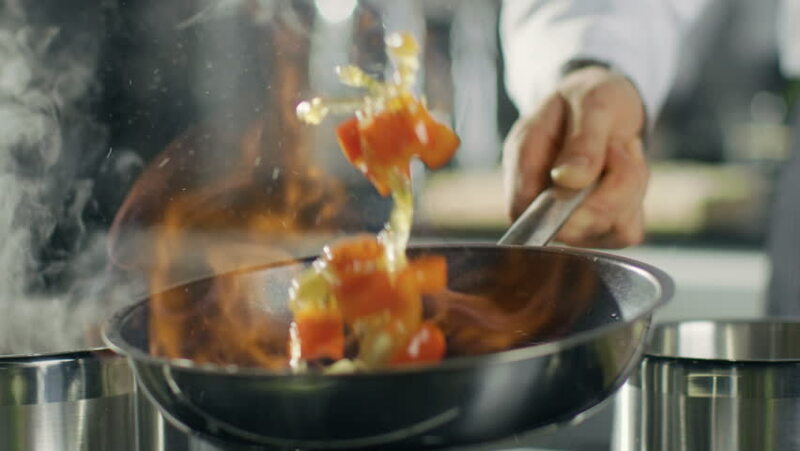 Close-up of a Chef Preparing Flambe Style Dish on a Pan. Oil and Alcohol Ignite with Open Flames. Shot on RED EPIC-W 8K Helium Cinema Camera.